I dreamed about being a mother since I was a little girl. I anticipated doing craft projects and baking cookies with my kids, and maybe even went as far as imagining myself twirling around the house full of joy while doing housework. After four years of marriage to my childhood friend, I gave birth to two girls within two years, and my husband and I felt called to become foster parents. I loved being a mom so much that I desperately wanted to be a mother to kids in need, for however long they needed me. We realized we had extra space in our car, extra seats at our dining room table, and more importantly plenty of room in our hearts. Little did I know that foster parenting was so much more than just loving kids in need; I found myself ministering to the team of professionals who work so hard for these kids, seeking services and counsel for behavior, medical needs often from a trauma background, and embracing relationships with their birth families. Jumping into foster care while holding my husband’s hand brought me to a place where I questioned my abilities as a mother. Parenting kids with high needs and trauma-based behaviors left me feeling lonely and frustrated with myself when I had no answers. Living with the ups and downs that foster care brings consumed me as trials came by way, both in our home and in the courtroom. I spent most of my nights, as most of us mother’s do, wondering what I should be doing better, what I could be focusing on next, what I needed to let go of, so I could bring more joy into our home. But, looking back over the last decade into my motherhood journey, I can see how it wasn’t the moments of joy that necessarily changed me, but the time when I had no answers and still had to keep fighting. The days that molded me as a mother most were when I had to keep encouraging my children and myself not to give up. So often we try to side-step the hard days of motherhood, the dreaded phone calls from teachers, the difficult behaviors and weary-filled days, but those are the days that help us grow, and change forever. My job as a mom is not to eliminate those days, but instead, to walk through those stormy seasons with my child’s hand in mine. Over the last six years, we have fostered ten children, adopting three of them into our family forever. 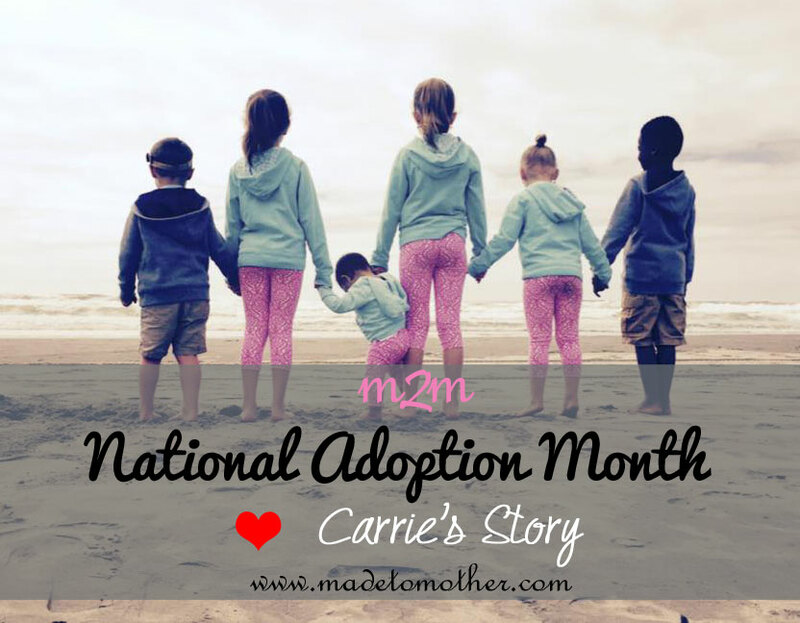 Foster care and adoption has changed me more as a mom than I ever anticipated. I would like to say that it eased my anxiety in regard to motherhood. Instead, it has challenged me in some of the hardest and best ways, forcing me to give my worries to God when I have no control. Nudging me to maintain relationships with birth families, which are important to not only us, but my children. Adoption and foster parenting have forced me to instantly start learning what it means to be a special-needs parent, support the different cultures of my children, and live as a large family in a society that doesn’t always understand. 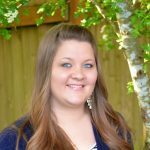 Adoption has deepened my view on parenting in general, and affected the way I look at myself as a woman, as a child of God, and as a mother to many. Here I am, almost a decade into motherhood while raising my growing family, and I find myself embracing what it right in front of me, knowing we can’t predict what the future holds. You may even find me, on occasion, twirling around my house full of joy. Carrie Dahlin lives with her husband and children near Portland, Oregon. She is the author of a foster parenting memoir, What Led Me to You: How a mother’s faith and family grew in ways she never expected. You can also find more of Carrie’s reflections on foster parenting in her column, Spilled Milk, with the Fostering Families Today magazine. Carrie is also a contributing writer for the Portland Mom’s Blog. Parenting half a dozen kids at the moment, takes up a lot of Carrie’s time, but if she could have an afternoon to herself it would involve a hot cup of tea in her hand, while cozy in her favorite blanket and a romantic movie to watch.To connect with Carrie and find more about her story visit her website.